Events for September 2011 | NGO Sustainability, Inc.
On September 21st, 2011, Roma Stibravy, President attended three major events in New York City. 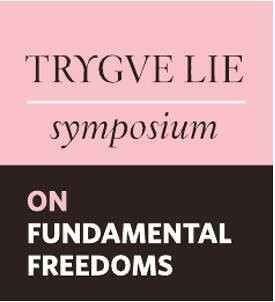 The day began with The Fourth Annual Trygve Lie Symposium on Fundamental Freedoms on September 21, 2011. The Symposium was chaired by H.E. Mr. Jonas Gahr Store, Foreign Minister of Norway and brought together high-level representatives from government and civil society to discuss the opportunities and challenges related to social media. There are enormous opportunities offered by social media in advancing democracy, freedom of speech and human rights, as well as the considerable challenges that come with these rapid technological developments. Ms. Stibravy also attended MDG Countdown 2011: Celebrating Success and Innovations (click for video) hosted by Andrew Mitchell, UK Secretary of State for International Development and Rajiv Shah, Administrator of the US Agency for International Development. The event featured innovators from across the development community who shared their experiences of transformative programs and policies, which are helping to reach the 8 Millenium Development Goals. In the evening, Ms. Stibravy attended The American Business Forum on Europe. The event featured discussions with Connie Hedegaard, the European Union Commissioner for Climate Action on Reducing Greenhouse Gas Emissions and Promoting International Carbon Trading: The Stakes for Business.